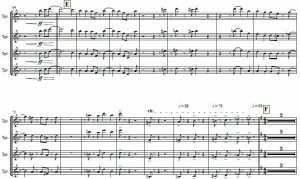 Big Band arranging has a rich tradition and is quite an art. In house arranger James Treweek regularly plays in Big Bands around London and is an experienced jazz arranger. 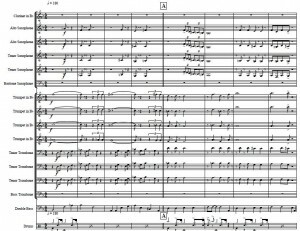 This score is an arrangement of 42nd Street for a touring dance show. The score was due to be recorded and the voicings had to be authentic to the style and period. This audio example is a pre-mix version of the score. 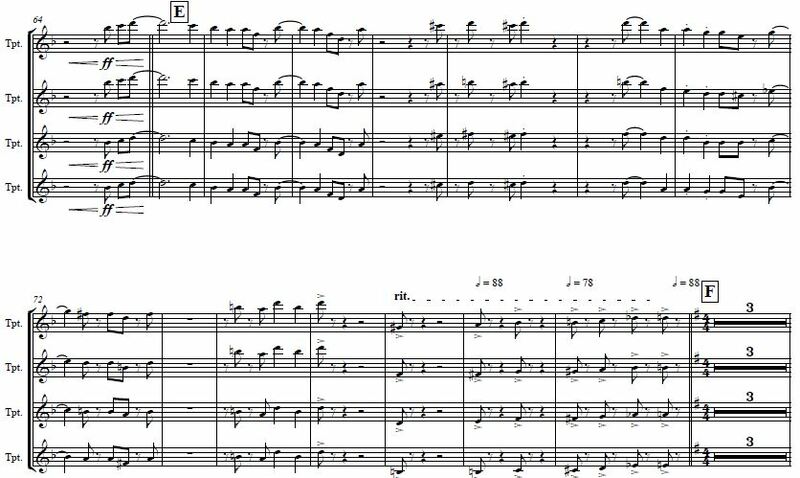 This is the score for the trumpet section from a big-band arrangement of “Let’s Face The Music”. 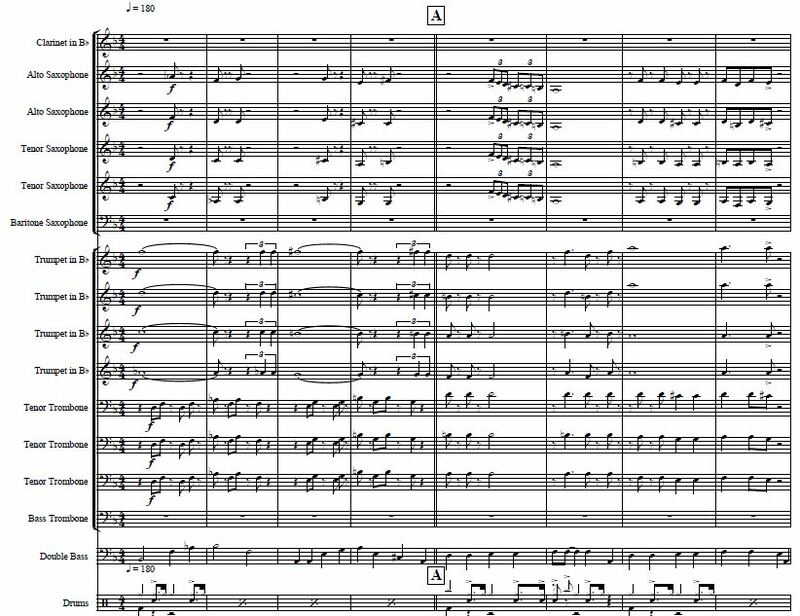 The layout for this big band score is quite specific because it was written for a studio session where a single trumpet player was to multi-track all parts. This means that we had to make sure all page turns were at points where the recording could be paused and the trumpet player can see all the parts while recording a particular line.